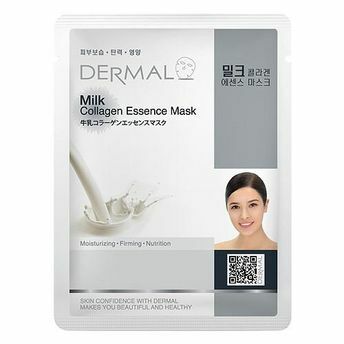 Refresh and hydrate your skin using Dermal Essence Milk Collagen Mask. It contains milk protein and it helps to promotes synthesis of collagen and elastin giving you refined, smoother and softer looking skin. This hydrating sheet mask aids in skin elasticity and improves the appearance of skin tone and complexion. It keeps your skin soft, supple & elastic.